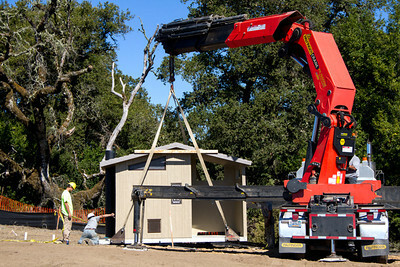 The District is finalizing the construction of the Mindego Gateway Parking Lot, short connection trail to Mindego Hill Trail, and the Audrey C. Rust Commemorative Site was completed this fall. 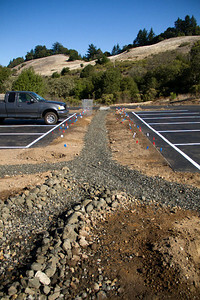 The site provides parking for 20 cars (including two ADA accessible spots), a restroom, bike rack, trail connection, and access to the Commemorative Site. The District plans to open this area to the public this winter – stay tuned for details! Preparing to pour concrete for the pathway to the Audrey C. Rust Commemorative Site. 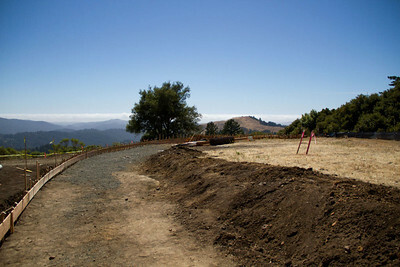 The future site of the viewing platform at the Audrey C. Rust Commemorative Site, overlooking Mindego Hill on the right and the Pacific Ocean in the distance. 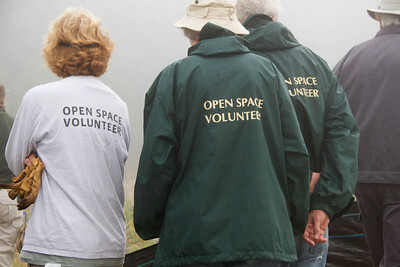 A group of MROSD volunteers helped to salvage some native plants prior to starting construction of the parking lot. These plants were re-planted at the same site after construction was complete. 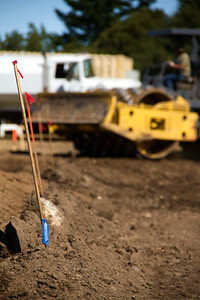 Wood posts with plastic flagging serve as survey lines to help guide grading work. 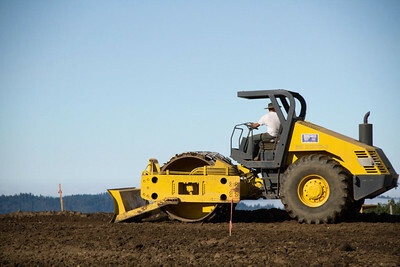 A compactor smooths and compresses soil at the parking lot. The site will have a single stall vault toilet. 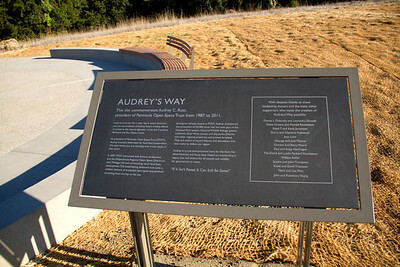 Interpretive signage commemorating Audrey C. Rust, to honor the conservation achievements of the former POST president. 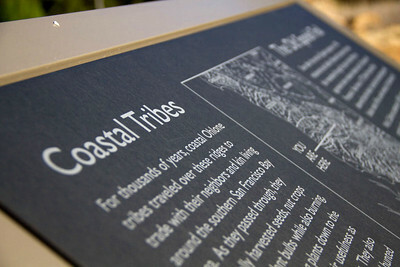 Interpretive signage celebrating the ancient Native American people who lived in and traveled through this area. 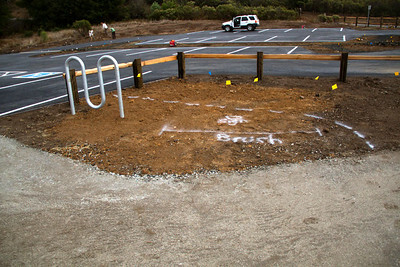 The site will be open to cyclists, and will provide a bike rack for parking and securing bikes, as well as a tire brush to help curb the spread of Sudden Oak Death. 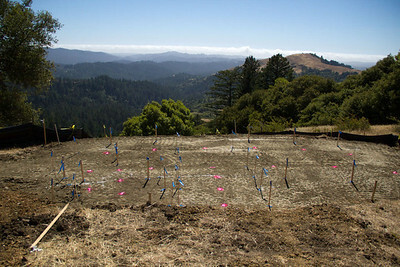 Landscaping flags, showing where the 25 species of native plants will be located. 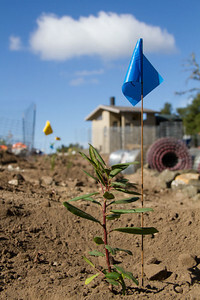 A young Rhamnus californica, commonly known as coffeeberry, is ready for mulch and a browse-protection cage.